The cinema will feature three screens, a bar and café. A LONG-DELAYED cinema in Galway’s city centre is finally set to open, as the first curtain will be pulled on the Pálás on Merchants Road Lower this Friday. The cinema is over a decade in the making, with millions of euro of public money pumped into it before the project was taken over by Element Pictures, the Irish production company that is also behind Dublin’s Lighthouse cinema. It will feature three screens with state-of-the-art technology, including capability of playing 35mm, a bar and coffee shop. The idea for the cinema, originally dubbed the Picture Palace, was first mooted as far back as 2004, when the first contractor for the cinema faced receivership and liquidation. The cinema project has been described as the creation of a cultural hub in the city. Construction on the cinema was eventually started in 2009 when then-Labour TD for Galway West Michael D Higgins cut the tape to signal the beginning of the build. 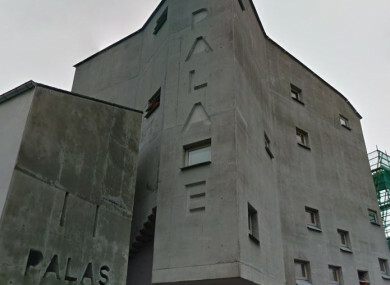 However, over the years numerous setbacks and, last year, the Charities Regulator launched an investigation into the Solas-Galway Picture Palace Teoranta, a registered charity that had been behind the cinema project. That company then went into liquidation later in the year. The project has received millions of euro funding from the Irish Film Board, Galway City Council and the government, but was not completed until Element Pictures took over the project just over 12 months ago and provided the funds to complete its construction. In the Comptroller and Auditor General’s annual report last year, it was found that public funds committed to the project had increased by €2.1 million, from the initial expected cost of €6.3 million. Element’s takeover of the project was seen as significant as the company behind the successful Lighthouse Cinema in Dublin, as well as Irish productions such as The Lobster, The Room, and Frank. After the project was in relative limbo for years, the cinema has now been brought over the line with their involvement. Tickets for the first showings will go on sale today, with Lady Bird, The Shape of Water and I, Tonya on the bill. Opening date announcement! Pálás will open this Friday Feb 23rd with evening and night screenings of #LadyBird, #TheShapeOfWater & #ITonya! Tickets for all screenings will be available to purchase from tomorrow. Email “Long-delayed state-of-the-art €8 million cinema in Galway to finally open its doors this week”. Feedback on “Long-delayed state-of-the-art €8 million cinema in Galway to finally open its doors this week”.